"Dr Chan seems very knowledgable.He gave me his knowledge of case.Now i must decide what to do." "The doctor was approachable in his manner and very thorough in his explanations to me. He also did not rush but took the time to be sure I understood my options." "Excellent work from the doctor. Cordial... attentive. Congratulations." "confidence in provider is excellent"
"He is very good, you need more like him." "The doctor is extremely professional and spent a bit of time discussing my health issue." "Dr. Chan showed compassion and understanding. I felt completely comfortable and secure." "Dr. Chan is fantastic. He is calm yet caring and very clear at explaining my diagnosis and plan of treatment. His support staff is always very helpful. I would highly recommend him. Never feel rushed, despite having many questions." "Dr. Chan is very professional and makes the patient at ease." "Dr. Chan was very clear to explain me the stage of my diagnosis. He was very professional and honest to suggest me different options pro and cons." "unfortunately, dr Chan is unable to assist my father. he has been an excellent dr and we would highly recommend him to others"
"I have found all NW care givers to be excellent"
"Dr. Chan is best of best." "Very informative about his findings." "Dr. Chan was thorough and compassionate. " "First time I used Dr Chan, Thank you"
"Dr Chan was very good and recommend him very highly to any of my friends and family"
"I will always mention this of Dr. Chan. he is an asset to Northwell a true "people's doctor" his patient's mean something to him, they're not just a COPAYMENT." "Very good. #1. Very good." "Dr. Chan and the rest of the staff is very good, otherwise I would not come back." "I travel 3 1/2 hours one way just to be seen by Dr. Chan. Having seen him at John Hopkins initially, he continues to be a consummate professional, for me, there's none better!" "Good service, by doctor, nurses." "I am very satisfied with all the care I have received." 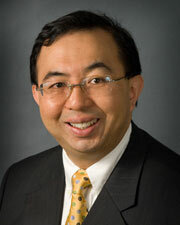 "Never a bad experience with Dr. David Chan, he is an asset to North Shore/LIJ."